Home theft is a real threat. Even though our country is known for being safe, in 2016 alone there were 159,119 reported break and enters in Canada, with 39,929 in Ontario. Therefore, it’s important for homeowners to take steps to prevent home theft. 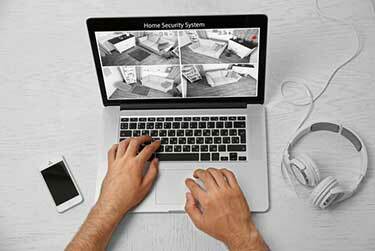 This blog provides you with some great information about security for your home, tips to protect your home from burglars, and answers some of the most common questions about home insurance and theft. Yes, most homeowners insurance policies provide coverage for theft, break and enters, and burglaries. In your policy, it is found under property damage and theft. Coverage amounts and limits depend on your policy. What Is Home Theft Insurance? Home theft insurance provides coverage to replace or get reimbursed for most personal belongings stolen during a break-in. Your policy covers you up to your coverage limits. Home theft insurance coverage will help cover the costs to repair areas of your home that were damaged, such as doors, windows, and other entry points. Additional damage caused by burglars while in your home may also be covered such as damage to landscaping. Home Insurance Theft - What Is Covered? Check your home insurance policy to be clear on what is covered and coverage limits. Home Theft FAQs - What Is NOT Covered? There are items that may not be covered while filing a home insurance claim. 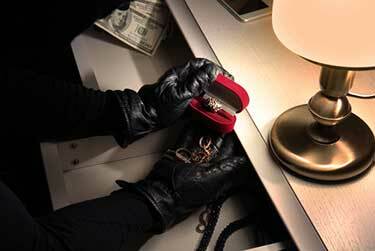 Does Homeowners Insurance Cover Theft Of Jewellery? Standard home insurance policies include coverage for theft of jewellery from your home during a break-in. The amount is subject to coverage limits outlined in your policy. Check with your insurance broker for specific information about home theft and jewellery. 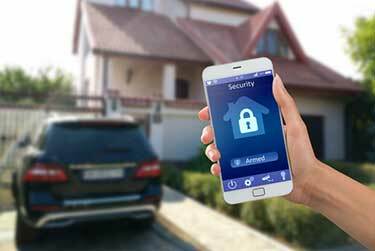 Is Car Theft Covered By Homeowners Insurance? No. Your home insurance policy does not cover car theft. This is covered in your auto insurance policy. However, it will provide coverage for the contents inside of your vehicle through off-premises theft coverage. Personal property that is in your car when it’s stolen will be covered. Are Bikes Covered By Home Insurance? Many insurance policies will cover your bike if it is stolen from your home or locked garage. Coverage is provided up to a certain limit. However, a claim may not make sense if you have a higher insurance deductible. Is Cash Covered By Homeowners Insurance? Coverage for cash stolen during a break and enter is very limited. Most home insurance policies will only provide coverage of a few hundred dollars for money, gold, silver, and coins. Some insurers offer enhanced endorsements to increase the amount of coverage for money. Does Home Insurance Cover Theft Outside The Home? 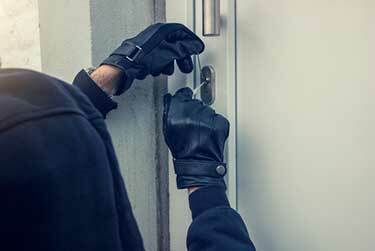 Yes, many home insurance policies provide coverage for theft that happens outside of the home. Some personal belongings are also covered when you take them outside of your home and when travelling. Personal property in your car, cameras, laptops, and other belongings are covered, within policy limits. Insurance policy riders are available at additional cost. 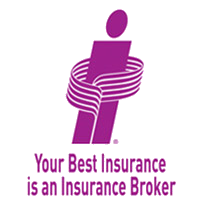 Talk with your insurance broker about your options to ensure your items are protected. Is Home Theft Coverage Included In Tenant Insurance? Yes. 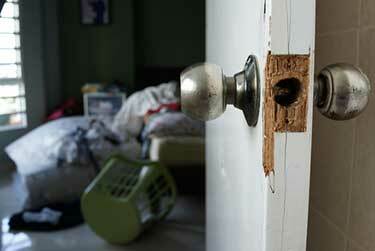 Home theft and break-ins happen to renters, too. This is another important reason why renters should invest in tenant insurance in Ontario. Under a renter’s policy, tenants have full coverage for their personal belongings in the event of a burglary. Therefore, if you rent an apartment or condo, are away at college, or share a house, tenant insurance will protect you. Speak with your insurance broker about your coverage limits and policy options to ensure your valuables are protected. Make sure it’s safe : Before you enter the house, make sure it is safe to do so. Someone may still be in your home. If you suspect someone is still in the house, wait in a safe place for the police to arrive. Call the police : As soon as you discover your home was broken into, call the police. Leave everything as you found it until the police arrive. File a police report : Work with the police on scene to provide a police report. Be as detailed as possible. Provide an initial list of damaged/missing items. Secure your home : If required, take steps to secure your home. You may need to temporarily board up a window or door. Make a list : Prepare a list of the missing and damaged items for your insurance company. Take photos and videos of the damage. Contact your insurance company : Open an insurance claim. Provide a full statement of the incident. Your insurance provider will help you with next steps. The theft insurance claim process is similar to how you would file other home insurance claims. You will be assigned a claims adjuster and are required to fill out documentation and provide proof of the items that were stolen. You will need a police report to file a burglary insurance claim. Open the claim : Contact your insurance broker via phone or online. Provide a full statement of the events that occurred. Provide a copy of the police report and get information about the documents you need to fill out and next steps. You’ll be provided with your claim number and assigned a claims adjuster. Your coverage amounts and deductible will also be checked to verify coverage. Appraising stolen items: Create and send a complete list of items that were stolen or damaged. You may be asked to provide proof of ownership (photos, receipts, warranties, bank statements). Assessing damage : If damage was done to your home, have a trusted contractor provide you with a detailed estimate for repairs. Claim analysis : As soon as you send in the required documentation, your adjuster will assess the claim. Repairs for damage will be conducted as soon as authorization is given. Claim settlement : Based on the documentation you provided, your advisor will assess the claim and arrangement a settlement. Payout amounts will vary based on your policy. Payment : A settlement cheque will be sent. Payment amounts and schedule will be provided. Closing the claim : Once all payments have been made and repair work completed, the claim will be closed. How Long Do You Have To File An Insurance Claim For Theft? If you are a victim of theft, you should notify the police and file an insurance claim as soon as possible. This allows you to start the claims process and settle the claim quickly. Waiting too long could create issues with your claim – such as forgetting important information. Will A Theft Claim Impact My Rates? Any home insurance claim could impact your insurance premium. Therefore, it’s important to assess the size of your claim and compare it to the cost of your deductible. Your claims history could also come into play and impact your home insurance rates. Which Factors Will Impact My Home Theft Claim? The amount of money you will receive as part of your claims settlement depends on what is included in your home insurance policy. Damage to your property as a result of the break-in will be replaced with similar materials and workmanship. The cost to repair this damage rarely meets coverage limits. However, the amount you receive for your personal property can vary. You are subject to coverage limits, and some types of personal property may have sub-limits. For example, your policy may only provide you with coverage for up to $1000 for jewellery. Having coverage for actual cash value (ACV) or replacement cost will also impact your claim settlement. ACV coverage provides you with a depreciated value of the items stolen. Replacement cost provides coverage based on the price it would cost to replace them at today’s prices. While you may not be able to completely prevent a theft from happening, there are many things you can do to be proactive. In addition to ensuring you have adequate home theft insurance coverage, taking steps to protect your home from thieves and deterring theft is important. Plus, it could save you money on home insurance! 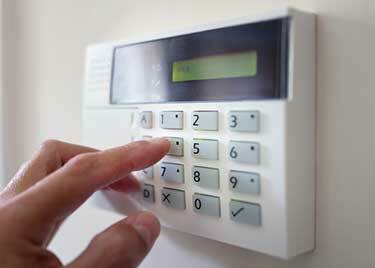 Invest in an alarm system : There are many different types and styles of home alarm systems on the market today. They are available at many price points. Home alarms will also qualify you for a home insurance discount. Lock the doors and windows : While obvious, it’s important to make sure all doors and windows are locked before you leave. This includes sliding patio doors, gates to the backyard, and any windows that are accessible from the outside. Reinforce patio doors : Patio doors are relatively easy to pick. Invest in additional door stops and foot locks to provide added protection. Don’t keep spare keys on the property : Many people keep spare keys hidden somewhere on their property – welcome mat, anyone? Rather than hiding spare keys, consider using a lock box and place it somewhere on your property. Get a safe : Keeping your valuables in a safe is an effective theft prevention measure. It can help minimize how much and what is taken if your home is burglarized. Don’t be flashy : Watch what you say and who you tell about personal items. For example, avoid displaying high ticket items near windows. Avoid talking about or sharing photos of expensive personal items online. Also be conscious of the packaging you put out for garbage pickup. You never know who may be watching. Work with your neighbors : Sometimes it takes a collective effort. Work with your neighbors and keep an eye out for each other to help keep your neighborhood safe. Install security cameras : They are not only ideal for helping to catch thieves, their presence alone will deter some people from attempting to break into your home. Invest in a motion sensor : Motion sensor lights are effective in deterring thieves if they enter your property. Make alarm system signs visible : Make sure to put up signs and stickers in your door and windows that notify others about your alarm system. Create the appearance of being at home : Whether you are home or not, it’s always a good idea to give the appearance that someone is home. Leaving on a light or radio is a good way to do this. Get a dog : Man’s best friend is often a great deterrent, especially if their bark is greater than their bite. Don’t give them anywhere to hide : Avoid having large shrubs or bushes for thieves to conceal themselves. Following these prevention tips along with a good home insurance policy help protect your home and personal belongings from thieves.